Affiliation is open to other fanlisting collectives. Email me if you'd like to exchange links! You can use these buttons to link back to this website. Please save the button to your own web space. Direct linking is NOT allowed. Information. 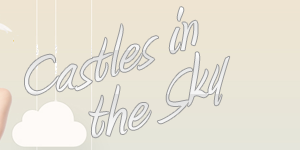 Castles in the Sky was formerly part of my main collective, and first went online in October 2009. I moved it to its own seperate site in February 2010. The name comes from both the 2001 song and the old colloquialism. It suits my personality. This collective and all sites under it are owned, maintained, and designed by Ava. All website are optimized for Firefox, and may look weird in other web browsers. The current layout features Tiffany of Girls Generation (also known as So Nyuh Shi Dae or Shoujo Jidai). My current favorite member is Seohyun. However, Fany used to be my favorite and still holds a position of sentimental affection. Contact Me. Need to reach me? Send me an email.